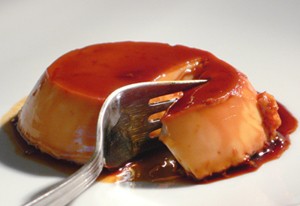 Creme Caramel (or “Flan,” as it’s known in Spain) is really one of my favourite desserts, and it’s much easier to make than many people might think. The only difficulty for some would be making the caramel, which is easy to burn. 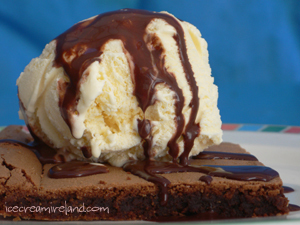 However, I’m amazed it’s not prepared more often, for guests are always “wowed” by this treat! The most usual flavouring would be a little vanilla, but I like the kick of fresh ginger, so that’s the recipe I will pass on here. 6 ramekins, a small heavy saucepan, a sieve, a heatproof bowl, and a baking dish large enough to hold the 6 ramekins. Pour the sugar in the saucepan, followed by the water. Watch carefully. 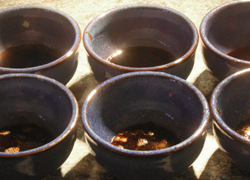 When it begins to brown, stir until the caramel is a deep amber colour, but not burned. It happens pretty fast, so take care. It is also very, very hot! Immediately pour into ramekins, dividing it among the 6 before it hardens. Pour the milk into the saucpan with the fresh ginger and cook over medium heat. When it is hot, reduce the heat and leave it simmer for about 5 minutes. Whisk the eggs, egg yolks and sugar together in a bowl. Pass the milk through a sieve to remove the ginger pieces. Slowly pour the milk over the egg mixture, stirring all the time, but try not to agitate too much or it will be very foamy. Once the eggs and milk are fully incorporated, again pass it through the sieve to remove any hardened bits of egg. Place the ramekins in a baking dish, and fill the baking dish with enough hot water to reach 1 cm below the rims of the ramekins. (You are creating a hot water bath for the custard). Bake for about 30 minutes, until firm to the touch. Remove from the oven, and immediately go to the next step. (If you wait, the caramel will harden). Cut around the edgle of the custard with a knife to loosen it. 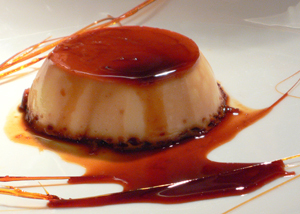 Invert the ramekins on plates to deposit the custard, pouring out any excess caramel. 2. You can pull the remaining caramel at the bottom of the ramekins into decorative sugar threads as I have done in the photo on the right. Â Even though it’s busy season, and most of our attention is going into keeping the shops in ice cream, we’ve been playing around with the idea of making ice cream truffles here in the world of ice cream. I don’t know if it’s a silly idea, but it seems to me that it might be pretty interesting to have a gold box of ice cream truffles in the freezer cabinet of a specialty food shop. It could make an impression at a dinner party. We’ve just started fooling around with it, but it’s a tasty treat. I would love to get any feedback. Would you buy such a thing? 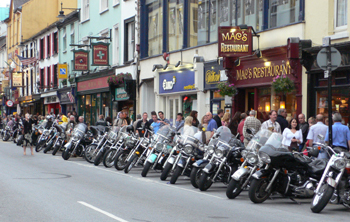 Killarney is the midst of the 15th Annual HOG (Harley-Davidson Owner’s Group) Rally, and anyone interested in such things and immune to the roaring of motorcycle engines should rush over. 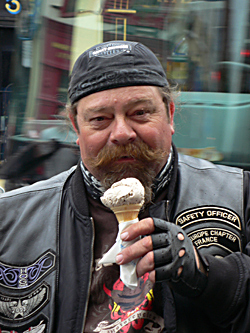 10-15,000 bikes and riders from all over the world have converged on the town, and it’s quite a sight. 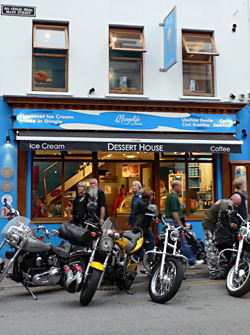 Killarney is positively heaving with Harley-Davidsons. For anyone who feels like they need the ultimate accessory to join in with the festivities, they could pay a quick visit to the Irish dealer on the way down, but would have to be willing to part with some serious cash. 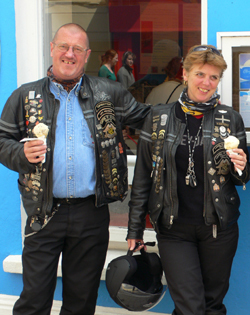 Contrary to stereotypes, the bikers we met in Killarney were quite lovely, and the town had a nice mood, even though the noise was something ferocious. 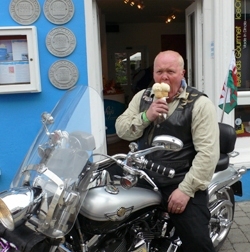 A great number of them turned up in Dingle as well, and they even found some time to eat some ice cream! Our baker Wiebke is 7 months pregnant, and so I’ve been doing more baking than usual. 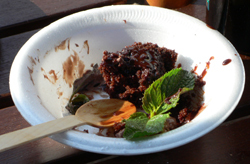 I can’t manage her fantastic cakes, but I can turn out tarts, pies and cookies and brownies without too much trouble. 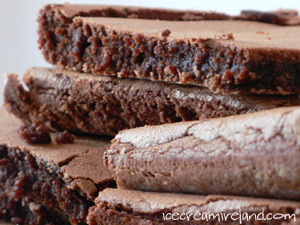 Yesterday I decided to try a variation on our Chocolate brownie recipe by adding Baileys Irish Cream. 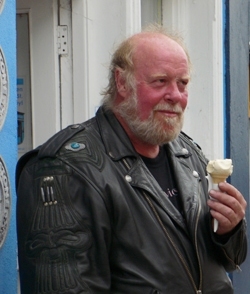 I like the combination of chocolate and Baileys, and we have a regular ice cream flavour Bó Dhubh, which is just that. In any case, the result was very yummy, and if you want to try it, simply use the recipe I gave here and add 100ml Baileys after mixing in the flour. Â Yesterday, the Spirasi Tall Ship Challenge Against TortureÂ arrived in Dingle. 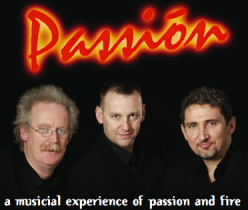 Along with the boat was the group Passion, made up of Pat Collins (The CafÃ© Orchestra), guitarist Drazen Djerek (The Chieftans) and singer Tony Norton (The Three Irish Tenors and Druid). They performed in the Marina Bar rather than the pier because of worries about the weather, and it was something to hear O Sole Mio blasting out of a place more used to trad music. For anyone interested inÂ supporting them, the ship calls to Cobh, Waterford, Wicklow, and will be back in Dublin on Monday for the UN Day in Support of Victims of Torture. 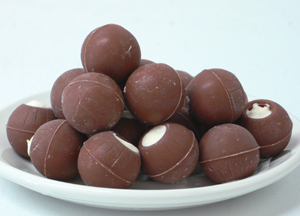 In terms of artisian food, Ireland has long been known for cheeses, but until quite recently, there was little in terms of artisian Irish chocolates. Obviously some chocolate companies have been around for a long time, but chocolate in Ireland has until fairly recently been defined by Cadburys. 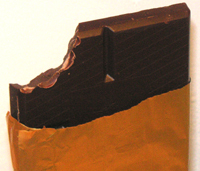 Needless to say, that was not much solace for chocolate lovers, but happily things are rapidly changing for the better. One of the companies to look out for, if you don’t know them already is Cocoa bean. Based in Limerick and around since 2002, this company does bold chocolates in interesting packaging. 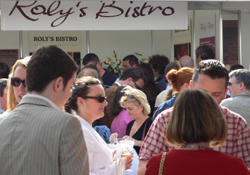 Their flavours are strong, and they do a variety of unusual combinations. Their chocolate crunch and fruit and nut clusters are definitely addictive.